This section is dedicated to education and safety for singlehanded/shorthanded sailing. It is organized by subject. 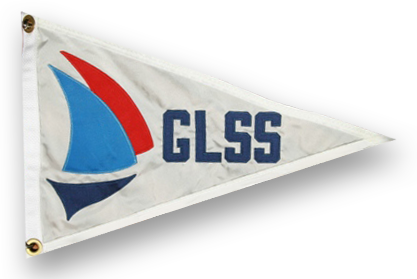 It includes articles, papers, presentations and videos primarily written or produced by GLSS members and some links to related materials. 20 Steps to the Starting Line This paper includes the basic steps to prepare for a Solo Challenge. This is a great place to start. Taken from the Road Show articles by Patrick Nugent and updated. Solo Food Basics a very basic paper on this subject by Bill Tucker. Can opener required! No gourmet food here! Solo man overboard and recovery demonstration. GLSS member Brad Enterline put together a video demonstrating a solo man overboard and subsequent re-boarding of his yacht while underway. He has posted it on YouTube. Spinslock Vest Recall Information Recall Notice from Spinlock for the Spinlock Deckvest. If you own one of these, check this link to have your vest updated to the 2010 standard. The dangers of going overboard with a tether attached This article details out a series of tests with a “man overboard” tethered to the boat in varied situations. It is a critical read for people using tethers, and their conclusions at the end are useful to all sailors. Few (if any) PFDs are designed to use when towing the person wearing the PFD. The hydrodynamics drive the victim underwater at less than 5 knots of speed, especially when an inherently buoyant PFD Type III is worn. There have been fatalities when people have fallen overboard tethered to the boat. The key purpose of a tether is to keep you on the boat (not near it, but on it!). An ideal setup would be one in which there was no possible way to be tethered and fall overboard. Consideration should be given to running your jackline down the center of the boat, and using a short tether so you are not able to fall overboard while tethered in. If you enter the water tethered to a boat moving as slow as 3-4 knots, there is a real risk of drowning. Electronics: GPS, Plotters, Radar, AIS, SPOT, etc., etc.,…..
AIS – What is it? AIS or Automatic Identification System is a great tool for both tracking freighters and letting them know where your are where you are going. This article explains their use by GLSS members. Written by Bill Tucker for the Spring 2011 Solo Challenger. Tracking with SPOT This article explains how SPOT can be used to track boats in the GLSS races. Written by Paul Nickerson for the Spring 2012 Solo Challenger. Electrical System: Battery, Alternator, Lights, Monitors, etc. Advanced Electrical Basics for the Solo Sailor. This article explores issues in electrical systems designs from end to end. The article is geared towards the long distance solo sailor and is built on the experiences and background of the author Bill Tucker. Considerations for Reliable Electrical Systems and power management in long distance sailing. Dead batteries, with no way to recharge them, is one of the most common reasons sailors have to drop out of long distance events. This article explores some of the system trade offs and what steps you can take to help ensure a reliable and efficient electrical system. This article was written by Mark Mahowald, and edited by Richard McLaren. Lower Huron Solo Recap 2012 The Lower Huron Sol is a 46 NM race. This is a recap of the 2012 race by Ton Hughes from the Fall 2012 Solo Challenger. Chicago Solo Mac 2012 Recap by a Rookie The Solo Mac Challenger from Chicago is a 287 NM race from Chicago to Mackinac Island. This summary by rookie Chuck Buckingham from the Summer 2012 Solo Challenger gives a rookies perspective on this Challenge. Lake Ontario 300 Solo Challenge Recap 2012 The Lake Ontario 300 Solo Challenge is a circular course areound Lake Ontario. This is a recap of the 2012 race by Gene Joelson from the Summer 2012 Solo Challenger. Proposal for a Great lakes Super Challenge from Chicago to Buffalo – by Bill Tucker This paper outlines a proposal for a new challenge from Chicago to Buffalo. It also details Bill’s experiences when he sailed the course in 2006 to demonstrate the feasibility of the proposed event. Although the GLSS has not decided to sponsor this race at this time, the thinking behind the proposal and the description of Bill’s trip are an interesting read for anyone planning a multi lake solo crossing. The 2015 Coast Pilot 6 book for the Great Lakes is now available in PDF form. Skippers, Richard McLaren has tracked down the rewritten Coast Guard Coast Pilot 6 book in PDF form for the Great Lakes for 2015. It is available for free download if this link doesn’t work. The file is large (about 6 Meg, so be patient). It costs $35 for the print version from OceanGrafix. If you have never seen one, it is very similar to a Richardson’s Guide. USCG Navigation Lights Safety Alert – Given that GLSS members tend to do a lot of their own maintenance and repair work, this U.S. Coast Guard alert should be of interest. It notes the technical differences between navigation lights designed specifically for sailboats, as opposed to navigation lights designed for power boats.